We are a full-service residential interior design company helping people enhance their lives by transforming spaces they live in into functional, comfortable, unpretentious and stylish homes. We focus on people, usability and quality. Our design philosophy is based on the idea that every aspect of a person’s home must have a purpose and serve a function that practically and aesthetically enhances their daily life. For us, it is about finding the right balance between function and aesthetics, comfort and practicality. As someone has so accurately pointed out:“indifference towards people and the reality, in which they live, is actually the one and only cardinal sin in design”. And our philosophy behind every design we create is to find that "golden middle" solution for each client that reflects his or her personality, perception of beauty, is practical, functional, and evokes a sense of home. We have extensive experience in interior design from planning to execution and deep understanding of the relationship between human dimensions and space that we love to share with our clients. We value time and pride ourselves on the ability to meet deadlines, be very responsive and flexible. As a boutique design firm we specialize in top to bottom, full room design, remodels and additions. In order to give every client the attention they deserve, we focus on projects where we manage every detail from start to finish to make the vision come to life! Our debut book "designed to be HOME" is available on Amazon- we showcase our designs next to our dear clients in their everyday lives who call our designs home! Livable Luxury. We are a Bellevue interior design firm specializing in creating function driven, luxury interiors tailored with durable solutions for every day living. A high end full service interior design firm. Michelle is known locally as a premier Redmond interior designer and Sammamish interior designer. Her designs grace the finer homes of Issaquah, Mercer Island, Kirkland, Medina, Clyde Hill, and beyond. IMAGINATIVE. CONNECTED. FUNCTIONAL. Interior design process is an exciting collaboration journey that we embark on with our clients. The ultimate goal of this journey is to create an authentic interior that has a special connection with our clients and their heritage, nature, history; is practical and sustainable; and makes the most use of the available space. Helping people find a vision for their space, and bring it to life, is our passion. We love coming up with original and interesting design solutions that reflect our clients’ personalities, finding the right balance between different styles, mixing modern and eclectic pieces, working with textures and colors and adding one-of-a-kind elements to our designs. Our greater Seattle studio was founded in 2018 by Julia and Helen - two amazingly creative individuals and friends, who share the same passion for all-things design, art, and travel. They met working on an interior design project in Redmond and almost instantaneously developed a connection that grew into a close friendship and, eventually, business partnership. It's really all about YOU! My focus is on listening to you, observing you, and learning as much as I can about you. I feel that when people come into your home they should be able to tell what is really important to you, and have a sense of your family's personality. Doesn't it make sense that you should feel at home - when you are at home? About Me: I have been in the design industry for more than twenty-five years, and in that time, I've come to refine my business philosophy to a few important details: 1) I am not designing to create a name for myself, but to create an environment for a family. 2) That environment should beautifully represent the people who live within the home – what matters to them, what gets them up and going in the morning, and what brings them together in the evening. Lifestyle. Haven. Home. All of these elements need to be in place, so that individuals thrive. 3) The process should be enjoyable and fun. Everyone is heard, budgets are respected and met, and visions are fulfilled (perhaps even better than they were originally dreamed). Our homes are a reflection of who we are. I love brainstorming with your ideas and providing my skills to create a space you are proud to call home. I am of the thought interior design does not begin with deciding what furniture fits best in a room, what color to paint, or carpet to lay. It starts with an in-depth clarification of a person’s lifestyle. Twenty-five years of interior design has taught me that while people seem anxious to change décor in a home, as they get into the job, the real reasons for decorating begin to emerge. People design to make a home function for their routines, create a refuge from the world, and at the same time have a place to participate in life with their loved ones. I began to think of myself as a lifestyle designer, rather than an interior designer because a well-designed home is an extension of a person’s identity and how they opt to live. Focusing on the owner's lifestyle is the central purpose of a design project. This sort of design is more thought-provoking, taking a plan to a more in-depth emotional level, creating a connection with their environment. Over the years I developed a program to help my clients work through this process of defining their lifestyle. Eventually, all that research turned into a book, “Define Your Life – Design Your Home.” My design practice has evolved into a more modern way to design, resulting in a more personal experience. People ought to be able to live life to their fullest and enjoy their surroundings That is, after all, pure beauty. 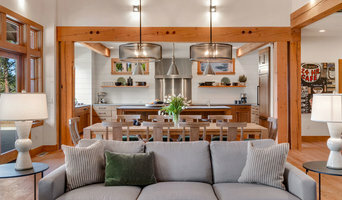 Seattle Preferred Interior Designer - Best of Houzz 2019! Thoughtful design is the magic that can transform ordinary rooms into beautiful, harmonious, and functional spaces. Whether you need to bring design to just one room, or your entire home, I am passionate about finding creative, aesthetic solutions that fully express your style and meet your budget. With a lifetime of experiences living and working in multi-cultural environments around the world, my studio understands and appreciates the need for design to express personality and lifestyle. In my experience, I have found that the biggest challenges in redefining a space is to discover, with the client, the right balance between desires, needs, and possibilities. My projects range from an initial design consultation to whole house remodels. I have experience through the complete process, from redesigning spaces, to developing the design plan, layout, color scheme, and style refinement. I design, coordinate, and work with the right professionals to create the modern, high-quality, gorgeous aesthetic for your home. Seattle Area Interior Design Firm - 6x Best of Houzz! Vered is a professional interior designer based in Seattle & here background includes over 20 years of experience in the design industry. She specializes in Residential Design, Commercial Design and Graphic Design. Her designs are clean, elegant and strike that perfect combination of color, balance and function. Vered's residential projects range from redecorating a small living room to remodeling kitchens and baths. From the conceptual and planning phases through material selection and project management, she will guide you through your design needs from start to finish until complete. No matter the project, Vered works collaboratively. She will listen and help you identify your stylistic preferences. She brings positive energy to her work and draws on eclectic elements to create designs for real people. Wilk Design Workshop is an architecture and interior design firm focused on catering to client needs. We specialize in residential design and bring our design expertise to your unique problem. Instead of forcing the latest design trends in your space, we listen to your goals and develop a solution with you that is highly personalized and brings an elevated level of design to your space. Alison Wilkinson, founder of Wilk Design Workshop, is a registered architect with ten years of experience in design and construction. She has worked on everything from flagship luxury retail stores and innovative green skyscrapers to residential remodels. Her experience in a variety of different project types allows her to apply a unique lens to each design problem. Having designed and staged over 400 homes in the Seattle area, we are considered a premier staging and interior design company, winning several awards for Interior Design, Model Homes and Staging. Owning and operating our own 6,000 sq. ft. warehouse with quality designer furniture, we have the ability to stage over 20 homes at once. Focusing on new construction and vacant homes staging for over 12 years, working with local builders as a member of the MBA to create unique interiors tailored to each individuals needs. Our Award Winning studio is creating beautiful and functional spaces that are unique to each client and each scenario. We fancy ourselves as an architectural studio and are welcoming projects that involve architectural challenges, play with scale, proportion, and use of space. 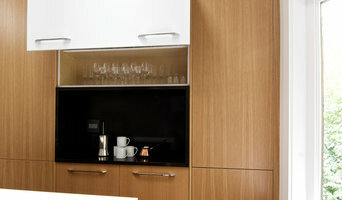 We do a lot of kitchens and other permanent architectural features in a home. We believe in individualization, There is no such thing as beautiful generic design. The good and long lasting design is all about the personalities, lifestyles, and other qualities of the owners. We encourage our clients to Live a Custom life - after all - there's only one take. For over 25 years, a Little Accent has built its reputation on a passion for creativity. Our imaginative and resourceful decorating style has been highly successful in creating environments that make people feel good. Our broad background includes designing and specifying all details of new construction and remodels of both commercial and residential spaces, decorating and furnishing model homes, color consultations and our famous one-day makeovers using your existing furniture and accessories. 31E Designs is an interior design company working alongside its residential clients to transform their homes with services ranging from creating lighting schemes to remodeling and furniture design. Designing from a unique and minimalistic style, our designer helps her clients see the possibilities, question their limitations, and create the unexpected. A good home design professional will hone your style down to its very essence and be able to choose a functional layout that feels natural to you. Interior design companies can be involved as much or as little as the client desires. Many clients who hire an interior decorator in Redmond, WA — particularly those who are remodeling — have a good sense of how the room should look and what products they should use. Often clients will insist that interior decorators use the products already present in the house. Other times a designer will need to start from scratch — especially if this is a newly purchased or just-built home. An interior design company will need to figure out exactly what the client needs, which includes organizing rooms, picking flooring and wall colors, and finding furniture to complement it all. Sometimes that means he or she will have to recruit help from other Redmond, WA home professionals to help create the perfect look for your renovation. Here are some related professionals and vendors to complement the work of interior designers & decorators: Architects & Building Designers, General Contractors, Home Builders, Design-Build Firms, Photographers. Do your research before meeting with an interior designer or home decorator in Redmond, WA. Ask yourself what you want your space to become and what it will be used for. Figure out the extent of what you need help with, what your must-haves are and what your budget is. Interior design services can add up fast, so be up front with a potential design firm or individual from the beginning. Also, pick an interior decorator that fits your style. 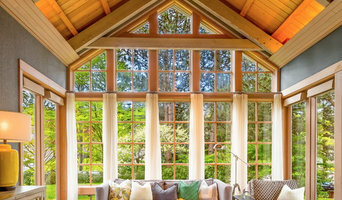 Browse through the portfolios of different Redmond interior design firms and decide if you would live in those houses. Just because you like something doesn’t mean you could live in it. There's a big difference! Find an interior designer or home decorator in Redmond, WA on Houzz. 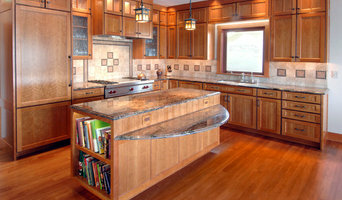 Narrow your search in the Professionals section to find Redmond interior designers near you. You can also look through Redmond, WA photos to find a room you like, then contact the design firm who designed it.